Metropolitan Windows and Improvements, Inc. Comment: Just need our attic insulated. Home is approx. 850 square feet. Comment: I am interested in seeing if my insulation in my attic and walls needs replacing. My house has drafts and it seems awful cold. Comment: 1958 ranch home, approx. 1050 sq feet. Want to use mold resistant, blown in foam for insulation between brick exterior and wet-plaster walls. Additionally, request quote on blown cellulose insulation in attic to bring to insulation efficiency thickness. Comment: Looking to spray around the perimeter of my basement between the walls and first floor area. 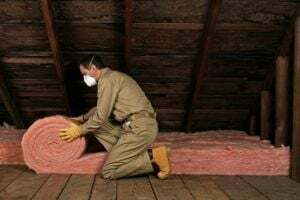 Dearborn Heights Insulation Contractors are rated 4.53 out of 5 based on 994 reviews of 11 pros. Not Looking for Insulation Contractors in Dearborn Heights, MI?